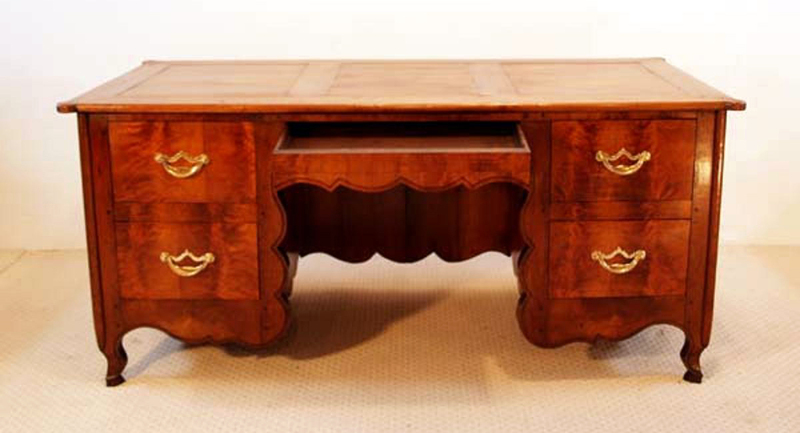 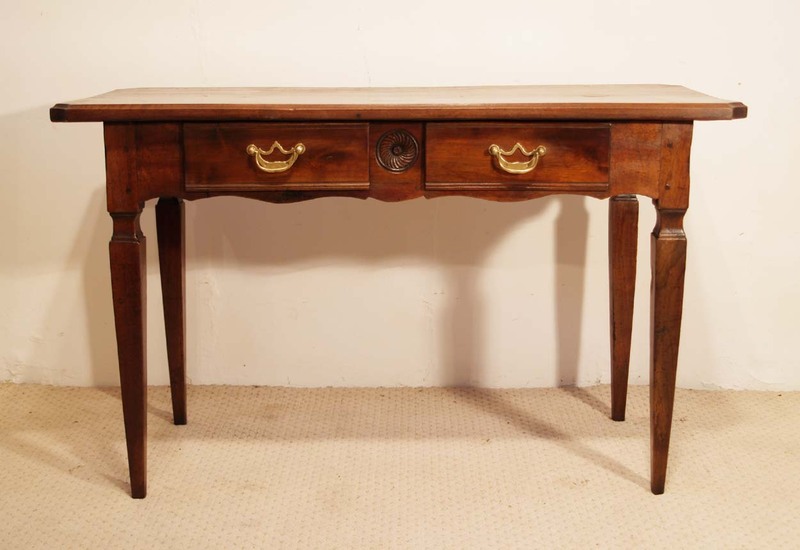 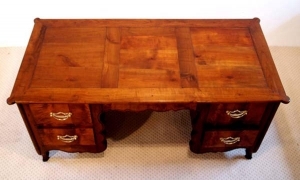 A superb Louis XVI th style cherry desk, bureau. 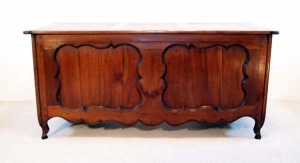 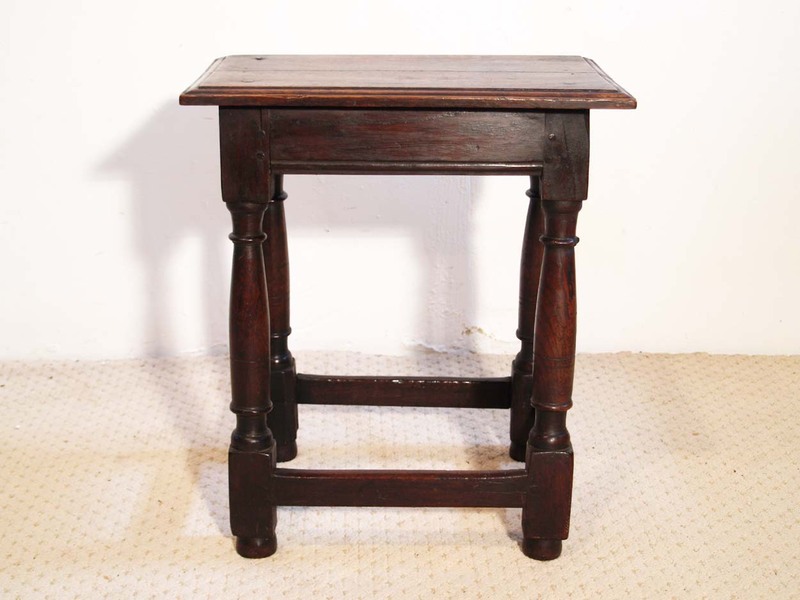 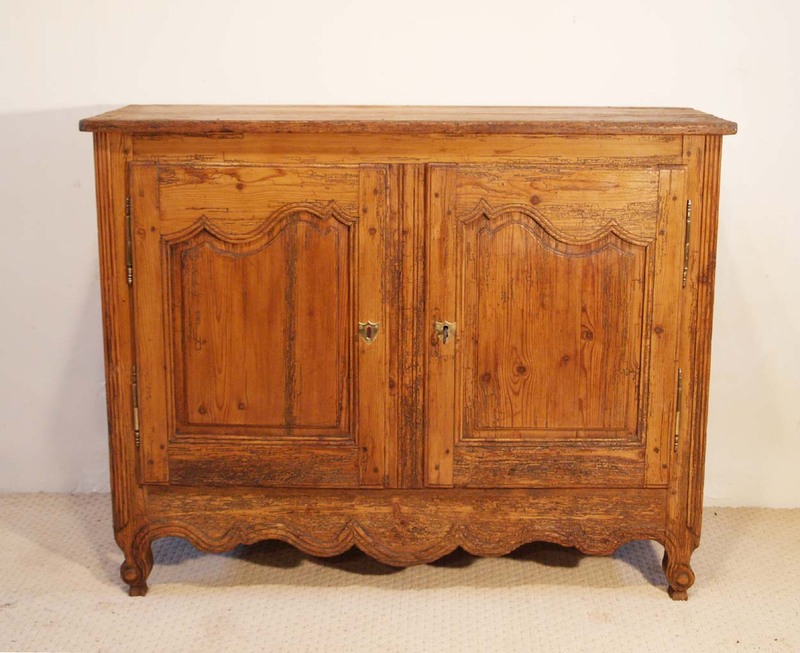 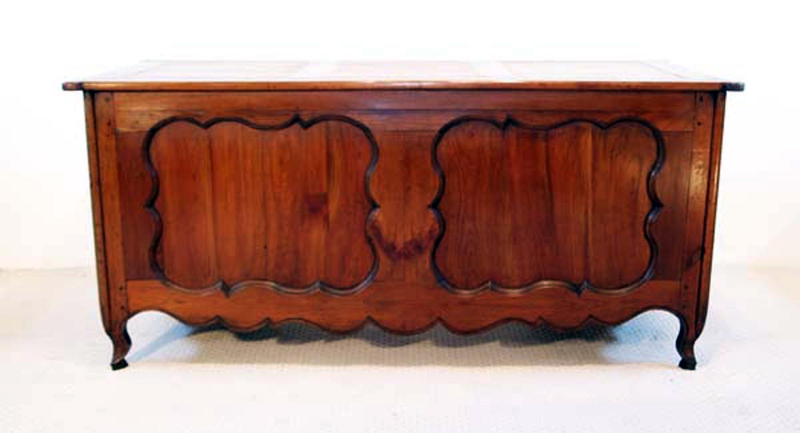 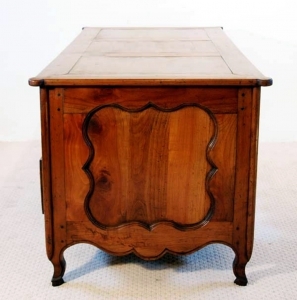 This piece has shaped panelled ends and back and a 3 panelled top, sitting on carved cabriole feet. The front drawers and frame are grain matched vertically and also incorporates a secret document drawer. 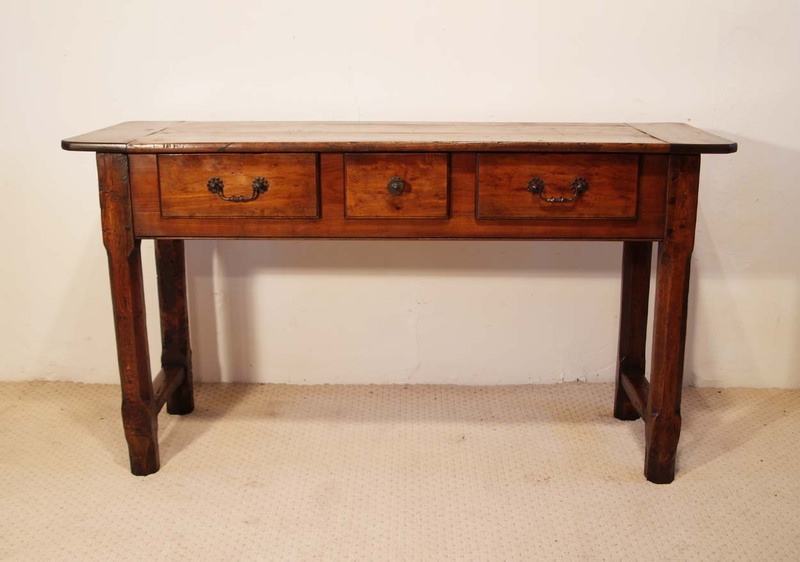 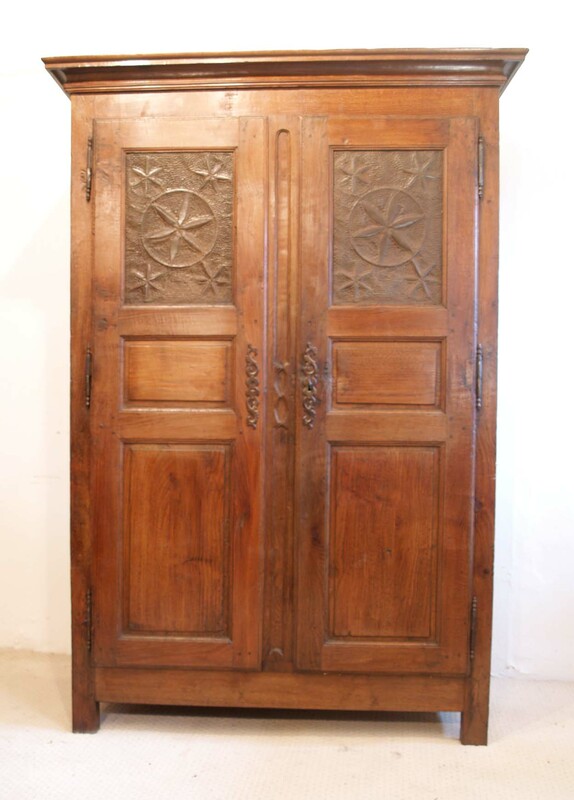 Built in the late 19th to the early 20th century, utilising antique 19th century cherry wood. 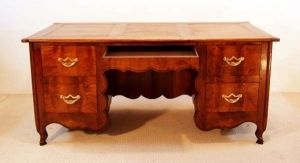 It is totally unique piece.